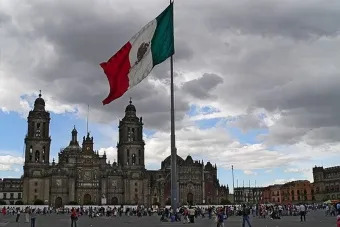 Mexico City, Mexico, Sep 12, 2018 / 05:52 pm (ACI Prensa).- The Mexican bishops' conference published Tuesday the “Catholic Church's Plan for Building Peace,” in an effort to “redouble efforts and united action” against corruption and violence racking the country. The goal of this plan, the bishops explained Sept. 11, is to “make known and assist in the coordination of all peace building efforts” undertaken by both Catholic and civil society organizations. The bishops stated that building peace in Mexico will be a “pivotal axis” in their work of pastoral social ministry. The plan will thus promote continuity in the work of caring for victims, the “workshops for forgiveness and reconciliation” will be reactivated, and strategies will be developed to care for the victims of human trafficking throughout the country. The plan includes pastoral accompaniment and oversight for the work of the migrant centers and shelters spread throughout Mexico, working with prisoners, the care of orphans, preserving green spaces as common areas, and working with the media to get out messages that foster peace in the country. To that end, the Mexican bishops met Sept. 4 with president-elect Andres Manuel López Obrador and had a “fraternal and proactive” dialogue. In statement released Sept. 5, the bishops indicated “the main items” covered in their meeting with López. The first item was the president-elect's “presentation of the administration's program” for the country. The possibility of establishing an ongoing open channel for dialogue with the government was also addressed. Additionally, the apostolic nuncio Archbishop Franco Coppola met with López Sept. 10. Afterwards, foreign minister designate Marcelo Ebrard emphasized that one of the points in common with the incoming administration and the Catholic Church is “the search for peace in Mexico” as well as the effort to reduce inequality in the country. The Mexican bishops' conference has agreed to participate in these forums intended to lead to a National Reconciliation Pact. The “Catholic Church's Plan for Building Peace” comes in the context of the July 1 presidential elections in Mexico. López won with 53 percent of the vote and his National Regeneration Movement party obtained majorities in both the Senate and Chamber of Deputies. López campaigned against corruption and violence, but he or his party have also expressed support for abortion, gay marriage, and assisted suicide. On May 27, three masked people fired mortar at two guards standing at the main gate of the University of Central America, located in the country’s capital of Managua. 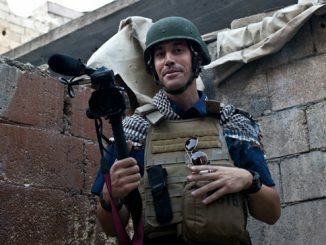 “Although they did not succeed in wounding or killing any of our guards, that was the intent, because of the charge of gunpowder used and because of the closeness of the shot,” he added. The attack is the latest in a spate of violence and civil unrest in the country, which began April 18 after President Daniel Ortega announced social security and pension reforms. The changes were soon abandoned in the face of widespread, vocal opposition, but protests have only intensified after more than 40 protesters were killed by security forces. In his statement, Idiaquez said that this is the second time the university has been under attack, noting the destruction of the school’s entrance during the April 18 protests. The university, which has become a center of student-led anti-government activism, suspended all academic and administrative activities in the days following the latest attack. Protesters have called for freedom of expression, an end to violent repression, and for Ortega to step down from office. 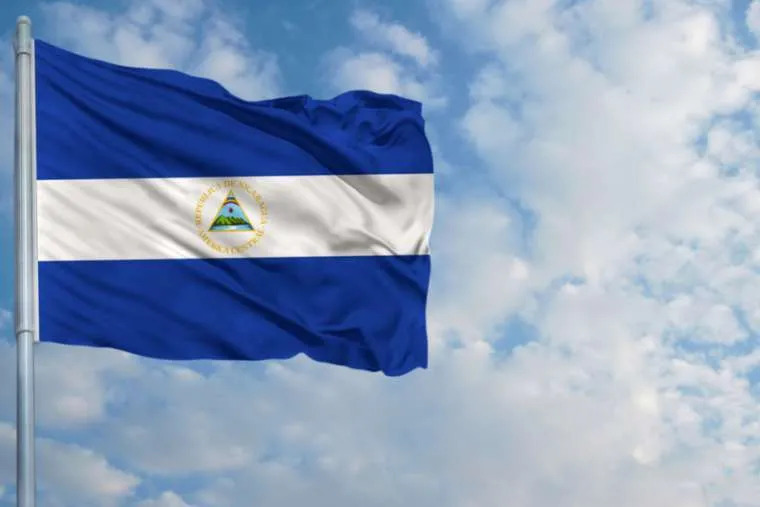 The Inter-American Commission on Human Rights has also expressed human rights concerns regarding the violence and visited Nicaragua May 17-21 to document human rights violations in four cities and to issue recommendations. The commission found that since protests began, at least 76 have died and 868 have been injured, including a priest of the Diocese of Matagalpa who was wounded by shrapnel May 15 while trying to separate protesters and security forces, according to the AP. The Church in the country has been quick to acknowledge the protestors’ complaints and to attempt to mediate peace with the government. In their letter to Ortega, the bishops stressed the importance of continued dialogues to work towards peace. On the same day that the letter was issued, the bishop’s conference also announced that bishops and priests are being discredited by attacks orchestrated by the government and that they have been receiving death threats through “anonymous social media” posts. On May 23, Cardinal Leopoldo Brenes of Managua announced that peace talks had been suspended indefinitely after reaching an impasse with the government, which refused to discuss an agenda presented by the bishops that included suggested reforms to presidential elections, according to ABC News. However, Brenes said he is hopeful the talks can eventually continue. Buenos Aires, Argentina, Mar 27, 2018 / 03:10 pm (ACI Prensa).- Marking the Day of the Unborn Child in much of Latin America, tens of thousands of Argentinians took to the streets throughout the country to demonstrate for the sanctity of all human life. 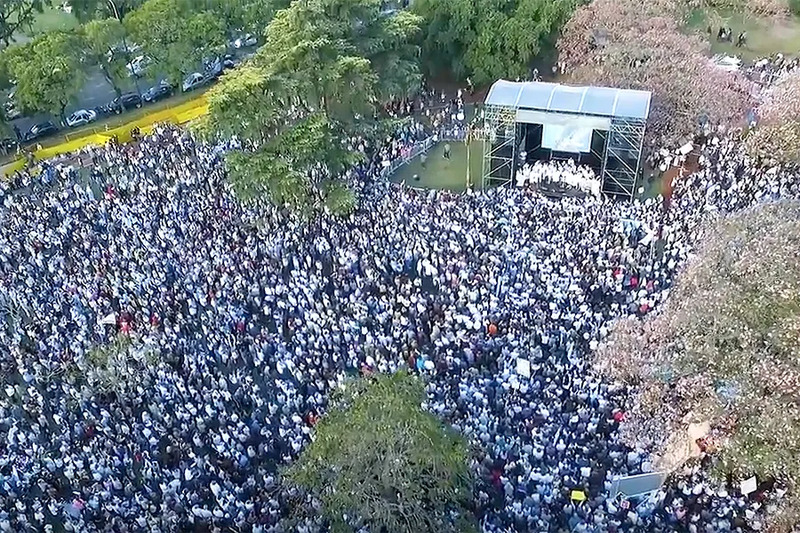 According to organizers, approximately 150,000 people marched from Plaza Italia down Sarmiento and Libertador avenues on March 25, ending up at the University of Buenos Aires Law School. The main goal of the march was to reject abortion and to call for comprehensive solutions upholding the dignity of the mother and the unborn child. Argentina was the first country in Latin America to mark a Day of the Unborn Child, declared Dec. 7, 1998 by then-president Carlos Saul Menem. The 2018 March for Life took place simultaneously in 200 cities throughout the South American country in the provinces of Buenos Aires, Catamarca, Chaco, Corrientes, Córdoba, Chubut, Mendoza, Entre Ríos, and others. The Buenos Aires march was accompanied by Dr. Soledad Otazua, who explained the process of human development in the mother’s womb with a large-scale model of a baby at 12 weeks gestation. A group of doctors also read a pro-life manifesto. “Harming a living human being in any way with the intention of ending its life under no conditions constitutes a medical act,” the text states. “Neither the state nor anyone can force any agent or healthcare professional to engage in practices that go against their conscience,” the manifesto adds. Pro-life activist Patricia Sandoval traveled to Argentina to participate in the event and share her life’s testimony. She explained that the she had undergone three abortions earlier in her life. Later, she worked with Planned Parenthood in California and assisted in an abortion, when she realized the humanity of the unborn child and underwent a powerful conversion. Santiago, Chile, Dec 17, 2018 / 10:53 am (ACI Prensa).- A Chilean court has ruled that private healthcare facilities may conscientiously object to abortions, declaring unconstitutional a law that had gone into effect in October.